We drive and walk on or near these transportation routes almost daily, but do we really know how they came to be, or what happened along the way? Join Lee as he tells the tales about the trails! The Trappers Trail, Smoky Hill Trail, and Cherokee Trail were used by mountain men, military expeditions, gold seekers, and homesteaders. The Daniels Park Road was the route of Colorado's first "Territorial Road." The Denver & Rio Grande and the Denver & New Orleans railroads provided the transportation systems needed for county growth. Named "auto trails" such as the National Park-to-Park Highway, preceded U.S. Highway 85, also known as the "Ribbon of Death." 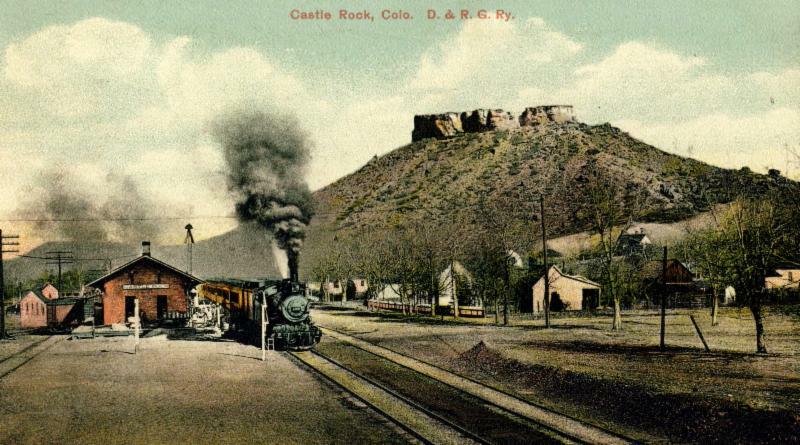 Parker Road/Colorado Highway 83 was the original planned route for Interstate 25. Our speaker, and long time Historical Society member, Lee Whiteley, is a fourth-generation Coloradan now living in Centennial. He graduated from Englewood High School and the University of Denver. He took a very early retirement from the City and County of Denver, where he was a computer programmer-analyst. He and wife Jane are authors of five books on early transportation systems of the West. They are associate producers of the PBS documentary Paving the Way, the National Park-to-Park Highway. Lee will have many of his books available for purchase before and after the program.